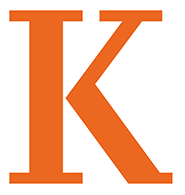 The Arcus Center for Social Justice Leadership (ACSJL) is an initiative of Kalamazoo College whose mission is to develop and sustain leaders in human rights and social justice through education and capacity-building. systematic discrimination and structural inequities have been eradicated. Learn more about us and our goals here. PRAXIS CENTER: Praxis Center is an online blog and website where short rigorous essays of current relevance are produced each week for teaching and social justice activism. For more information about how you can use the space or partner with ACSJL, visit our building page. If you have any questions, please contact the ACSJL here or by calling (269) 337-7398. Follow ACSJL on social media! Get the latest from the ACSJL!